This is a gradient with Hot To Handle and Wild At Heart (tips), both extremely shimmery duo chrome shades. The color shift isn’t very noticeable on the nails but that doesn’t make them less pretty. The first coat of these is a little sheer but a second coat results in full coverage. 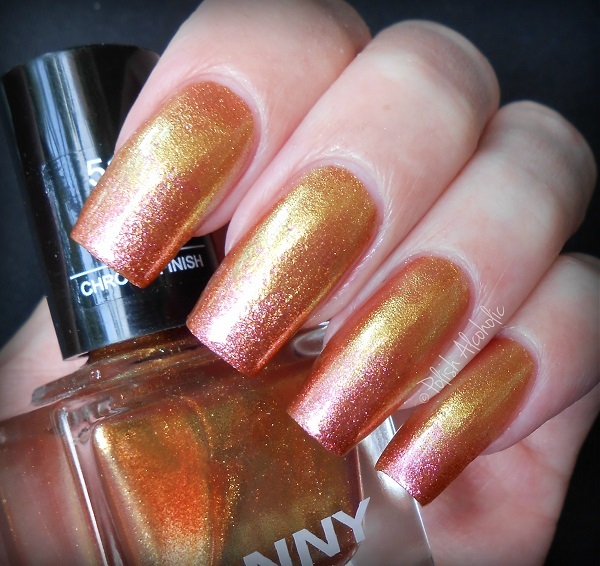 I really like that ANNY came up with three chrome polishes. It’s a nice addition to their collection. 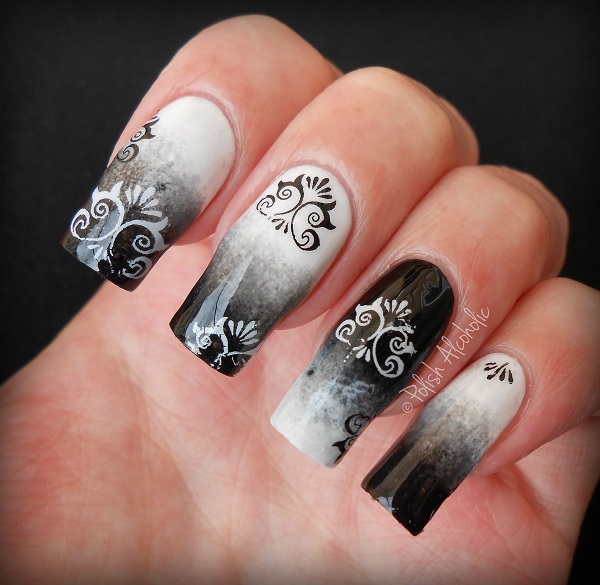 – Trim, clean and polish the fingernails; paint the background color and dry it out. – Remove the film of product, cut out the pattern and plunge it into water 10-20 seconds (use warm water in winter). – Moisten the fingernails; stick the pattern in position. – Sop up the water with a paper towel and blow dry. – Apply top coat and blow dry. I advice to wait a while before applying top coat, otherwise the pattern may crack (see my middle finger nail). Have you tried water decals yet? If not, you definitely should give them a try. It’s so easy! Born Pretty Store offers worldwide shipping 🙂 They also have lots of other nail art supplies to choose from. By adding code SFX31 at check out you’ll get 10% off your order! Personally, I’m not a huge fan of glitter. Say what? Yes, it’s true. I do like glitter toppers or glitter in a jelly base on occasion though. This black/white glitter topper caught my attention while hunting for new colors. This is called Black Dress and White Tie (101 Dalmations) by Essence. It’s a mix of black hex glitter, two sizes white hex glitter and fine silver shimmer in a clear base. The formula is great and the glitter spreads nice and even. No fishing or re-placing required. I’ve layered this over a gradient for which I used Off To Miami! and Naughty And Pink!, both also by Essence. The formula of these two is nice and covers in two easy coats.